A sequel to Tucker’s popular Blow-Up Gallery (2010-2014), Inner.space represents the emerging South Dallas Contemporary Art scene with works that are predominantly sculptor/painter-based. Well-known artists who have exhibited with Inner.space and Blow-Up Galleries include the late Ali Akbar from Bangladesh; Legend D’Oro from New York City; Roberto Mungia, Arthur Pena and Toni Martin from Dallas; and Kiki Ishihara from Tokyo, Japan. 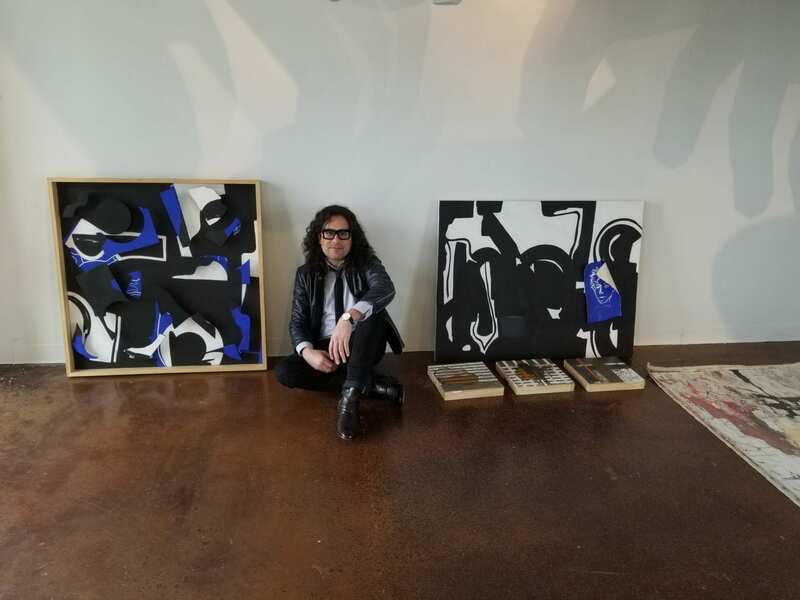 Tucker says Duncanville Design Group, an organization that represents talented local artists, and visionary developer Monte Anderson spurred his interest to open Inner.space gallery in the southern Dallas community where he lived as a child. 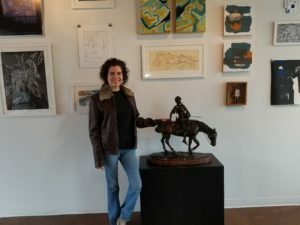 Duncanville artist Elizabeth Schalling has exhibited at the gallery. Scott and Melissa also show some of their artwork at Inner.space gallery. While Duncanville is known as the City of Champions, Tucker says few people realize that Elliot Smith and Tim Delaughter were also from here. A beautiful and obviously very expensive bronze sculpture that immediately draws the eye was created by their father, Scott Tucker Sr., who still lives in Duncanville. The piece sold to a collector some years ago, but the Tucker children, heirs to their father’s creative talents, were able to buy it back for display in the new gallery. 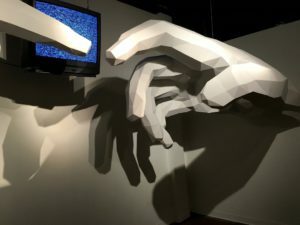 Tucker says (TV IS GOD), the imposing sculpture of giant hands by artist Ben Hoggett, is scheduled to leave Inner.space March 24 so everyone is invited to come and see this amazing art installation one last time. For more information about Inner.space Projects or the Salon Show March 10, please contact Scott Tucker at 817-932-2056.